First come first served. Fresh on the market this cute and charming 1-1/2 story home is located mid-block on a nice street close to Polo Park mall and many shops and stores. 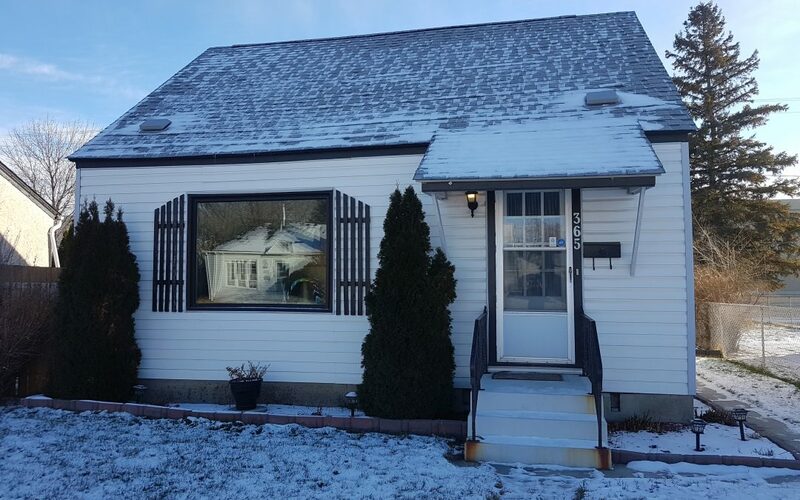 Well cared for with some new Polar windows and doors, new furnace in 2018 and a brand new roof in 2016. Did you notice the double car garage? Fully insulated with insulated doors and room for two of your largest vehicles. A dream garage. Main floor has newer high quality flooring installed, fresh paint and a large master bedroom with good closet space. Second floor hosts two good size bedrooms with good natural light. The backyard has a newer patio, fence and deck. Come quick it’s priced to sell!